“MACUSHLA" is Gaelic for Sweetheart. Captain Johnny Cerpas has been on the water since his late teens as a mate and a licensed Captain. He is very passionate and competitive about his fishing. This team is English speaking and have 20+ years fishing the local waters and boat building experience. This translates to great days fishing. They work hard taking care of clients and their tackle…and boat. The MACUSHLA raises fish when they are thick and will dredge them up when pickings become slow. 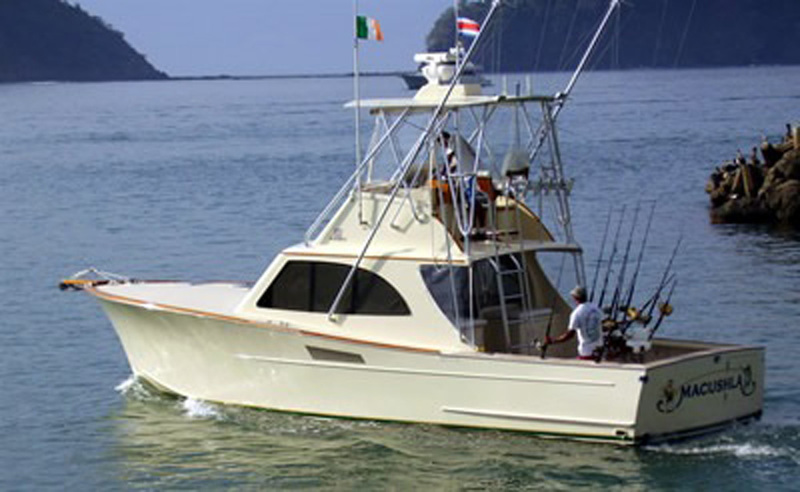 The MACUSHLA is owned and managed by a US owner who is well known for their extensive history of fishing and boating adventures.